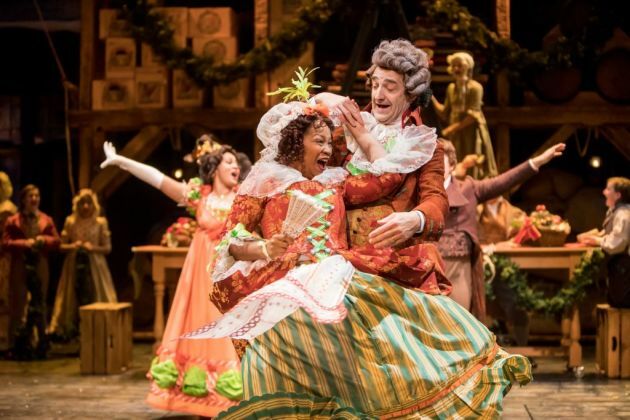 You may think you know "A Christmas Carol," which the Guthrie Theater has been performing versions of for 44 years, but two noteworthy things are happening at this Sunday's performance of the Charles Dickens classic. It will be the Guthrie's first-ever "relaxed" performance, joining many theaters in town that have tailored productions for theatergoers who have a number of conditions that can have an impact on their enjoyment of plays, including dementia, autism and learning differences. Typically, these performances feature lower volume, less vivid lighting and staffers who are ready to help patrons with special needs. In addition, Sunday's performance will feature Charity Jones, the female actor who is the alternate Scrooge for 13 performances this year. Jones, who played four performances as Scrooge last year, says the iconic role is an "extraordinary opportunity."